Since Angel Haze is a member of my Class of 2013, I really, really wanted to see her perform at Lolla. Unfortunately, I made one fatal mistake: I chose to take a 15-minute cat nap before heading out the door. That 15 minutes turns into 30, and suddenly you find yourself racing to Grant Park in the hopes of catching the last few songs of a set, only to hit some heavy traffic on Lake Shore Drive. So ultimately, no Angel Haze was in my future and I arrived at the exact time her set was ending. My other realistic choices were to see the second half of sets from Alex Clare or Lianne La Havas, neither of which sounded attractive to me. So I wandered the grounds instead, taking in some of the “sights” and grabbing a pizza along with a t-shirt before dropping by the Petrillo stage for some Baroness. That was the official start to my musical day, and they were a great kick in the teeth for those of us that needed it. They had the energy of a great metal band, complete with plenty of guitar posturing and long-haired head banging. Part of what makes Baroness such a strong live band though isn’t their energy, but the music itself, which strives to transcend easily definable genres. It leads to some cool psychedelic and punk rock ethos that blend perfectly with the much heavier guitar work. They may have lost a couple members following their tragic bus crash last fall, but they’ve fully recovered and are as impressive as ever. Have you ever seen Tegan and Sara perform live before? It’s been about seven or so years since I last caught their live show. For the record, there’s nothing wrong with it that forced me to stay away, but I saw them play a couple of small club dates back in the So Jealous era and then follow those up with a Lollapalooza set in which Sara wound up with heat stroke which caused them to abort after the first 30 minutes. Personally I think their sharp uptick in popularity combined with performing at increasingly larger venues turned me off a bit, as did their 2009 album Sainthood. But I also think that Tegan and Sara have been avoiding Lollapalooza since 2005, and I was eager to see what would happen when they returned to the festival for the first time in eight years. I also wonder how many people in the crowd saw that 2005 shortened set. Given the demographics of the festival these days, I’m betting very few people besides myself and Tegan and Sara were there. Still, in true sisterly fashion, Tegan couldn’t help bring that incident up multiple times during their set, checking in on Sara to see how she was surviving the balmy 78 degree weather. Last time the heat index was 100+ degrees. Both of them did just fine, and they triumphed with a full set that was 50% devoted to cuts from their new album Heartthrob. It all sounded rather great, and that’s sort of been the Tegan and Sara modus operandi for over a decade now. They have a lot of fun on stage, trade off witty banter and goofy insults at one another, and hit all their notes right on target. Not much more you could ask for, and why would you want to? The appeal of alt-J is something I’ve not fully grasped yet. Their debut album An Awesome Wave is a pretty strong cocktail of the many different popular styles of indie rock from recent years, and while there are plenty of highlights (“Breezeblocks,” “Fitzpleasure,” “Something Good”), beyond those carefully spaced hits are sonically interesting but largely quiet moments. Therefore if you think that’s going to translate well to a festival stage, you’re sorely mistaken. The massive sized crowd was moderately well-behaved for much of the set, waiting patiently for the hits they recognized, then promptly singing and/or dancing along with them before another lull arrived. While I didn’t hear anyone expressing outright disappointment with the band’s performance, the turnover was high, with a mini exodus happening each time the band finished one of their hits. So what was alt-J’s biggest failure, their relative inexperience with trying to engage a festival crowd, or the mere fact that their material doesn’t lend itself to that type of situation? I’d argue a little from column A and a little from column B. As time and new material emerge, I feel like things will get better. From what I saw at Lollapalooza though, they’re a band in the spotlight who aren’t quite ready for it just yet. While I wasn’t able to catch all of their set, part of me felt inclined to watch at least a little bit of Grizzly Bear. I haven’t seen them perform live since their latest album Shields came out last year, and the thought was it’d be nice to hear a couple songs from that album to see how well they translate on stage. In short, like pretty much everything else from the band’s catalogue, it sounds pretty great. Of course Grizzly Bear aren’t the most lively bunch when performing, and on an early Sunday evening with the sun beginning to set, their golden melodies felt almost just right even as it could well have lulled the crowd to sleep. I was invested enough after a handful of songs to want to stick around for more, but another band was calling my name on the other side of the park. If you read my review of Vampire Weekend‘s new album Modern Vampires of the City, then you know it’s one of if not THE finest albums of 2013 so far. It was on that reasoning I felt the need to make sure I was there for at least a majority of the band’s Lollapalooza set. The crowd was one of the biggest all weekend, and for good reason given their consistent increase in popularity over the last few years. As one might expect, there was quite a bit of material crammed into the 1 hour and 15 minutes they were allotted, though the slight surprise was how evenly distributed things were across the band’s three albums. Of the 18 songs played, the band did six from each record, except for Contra which only got five. The extra outlier was the b-side “Boston (Ladies of Cambridge)”, which has been around since before VW’s debut album when they sent out a CD-R to a bunch of music writers in the hopes of earning some attention. Overall the set was a whole lot of fun, and the crowd really liked it too. I’m just glad I got to hear “Hannah Hunt” performed live as I began to venture back to the other side of Grant Park in search of the perfect way to end my weekend. As I wandered over to find a decent viewing spot for The Cure‘s festival-closing set, I overheard Beach House beaming out a perfect rendition of their song “Myth” to end their set. When I saw the band perform at a different festival last year, they almost put me to sleep, and I anticipate something similar would have happened had a stuck around for their full set. Beach House is a great band, but the best way to experience their live show is in a seated theater, not outside at a music festival. Which does bring me to The Cure, and how they practically excel in a setting such as this. 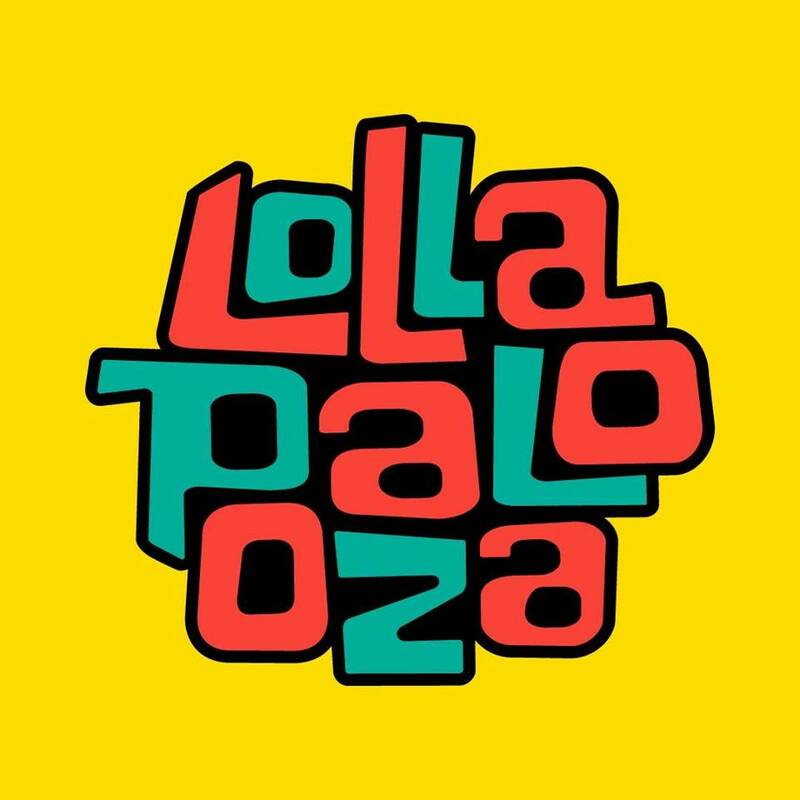 Lollapalooza is their only show in the continental U.S. this year, as part of their “Great Circle” world tour, and naturally they aimed to please. All of their essential hits were played, from “Love Song” to “Friday I’m in Love” and “Pictures of You,” plus a handful of deep cuts to satisfy their more intense fans. Of course most were there to hear their biggest songs, which is why the crowd went nuts for anything easily recognizable but largely stopped paying close attention when “Trust” and “Want” and “The Hungry Ghost” showed up. You could claim Disintegration dominated because six out of the total 26 songs were from that record, but Wish got quite a bit of love too while the rest of the set was scattered across the band’s vast catalogue of time and space. I realized while watching their set that it’s been nearly 10 years since I last saw The Cure perform, and don’t really remember much about the last time except that I was a little disappointed Robert Smith was still doing the bird’s nest hair and white makeup style two decades later. These days I’m older, wiser and presumably more accepting of such eccentricities. But getting back to the Lollapalooza performance, I walked away quite satisfied, but felt like the pacing was off by just a litte bit. There were some big hits in the first 45 minutes of the set, but those second 45 minutes were thorny and somewhat difficult to enjoy. The 30 or so minutes of encore time was just one big hit after another, and I think if all those songs were spread out a bit more it would have kept not only myself, but the overall crowd more interested too. A small part of me was also hoping to hear a new song or two, as it’s been five years since the band’s last album of original material. Alas, it was not to be, though maybe that was for the better considering their track record the last 12-13 years. The Cure touring around just playing crowd favorites seems like the smartest move they could make, so long as there’s still a demand for it. If the crowd at Lollapalooza was any indication, that demand won’t be waning any time soon. After what was a pleasant and somewhat inspiring first day of Lollapalooza, Saturday was supposed to be the “big one.” When single day tickets went on sale a few months ago, Saturday was the first to sell out, and almost immediately. What was its biggest selling point? Mumford & Sons, probably. And maybe a little help from The Lumineers. I had a feeling the crowds were going to be huge for both bands, and I only moderately like them, so naturally I avoided going anywhere near that stage. I felt almost rewarded as a result. Of course the entire day was rewarding, even though I got a later start than I was hoping for or anticipated. The extra time I took to sleep in really helped me make it through the day, I think. As a reminder, though service is all but nonexistent in Grant Park this weekend, I am doing my best to live tweet about every act that I see. If I don’t do it during the day, I catch up at the end of the night. Just so you know for reference purposes. Anyways, here’s a short bit about the things I saw on Saturday. My day started with Charles Bradley. He’s widely regarded as a soul legend, and his set showed that in spades. I could hear the horns blaring and his powerful wail well outside the walls of Grant Park, and for a minute I thought I’d accidentally stumbled into Chicago’s world famous Blues Fest instead. Even though he’s getting up there in age, Bradley commanded the crowd with his strong presence and even broke out a dance move or two. It may be a long way from his early days as a James Brown impersonator, but at some point in time there will hopefully be a Charles Bradley impersonator just making his way up the ladder to legendary status as well. As I started to walk across the field to the stage just behind me for Matt & Kim, I ran into problems. Specifically, I hit a wall of people. The crowd stretched back extremely far at the Petrillo stage, so far that I couldn’t see the stage from my vantage point and couldn’t hear the band too well either. Whenever I run into that situation, as I did with Imagine Dragons on Friday, I figure there’s no point in watching or listening if I can’t watch and can barely listen. So I wandered over to Ellie Goulding’s stage about 30 minutes before her set was scheduled to start. I could kind of hear Matt & Kim from there, and enjoyed renditions of “Cameras” and “Let’s Go”, mixed with bits and pieces of some interesting and odd covers. I think Ellie Goulding is one of the most talented mainstream pop acts today, and her energetic set had the huge crowd going totally nuts. I was packed in tighter than any other spot I’ve been in all weekend, and everyone around me was jumping up and down, singing along, clapping, and other things you do at an overly enthusiastic pop show. For her part, Goulding kept the mood light and upbeat, and she certainly sounded great. She covered Elton John’s “Your Song” at one point, and it actually felt both earnest and earned. I’ve seen Unknown Mortal Orchestra one time before, and it was an okay set. At a certain point last time I thought it started to wear thin and get a little boring, so my expectations were lower when venturing in for a second round. The crowd turned out to be one of the lighter ones of the day, primarily because there was a lot going on at all the other stages. But the band made the most of their time and actually impressed me with a bouncy, pleasant and rather psychedelic set that was really strong on technical chops. Maybe it’s the fact that they released their second album and the new songs are working better for me, or playing a lot more live shows has made them a much stronger band overall, but whatever it is it’s working. The extended outro to “Ffunny Ffrends” featured a rather great guitar solo from frontman Ruban Nielson, and left the crowd in a great mood. A few records and a few hundred live performances under their belts, Foals know exactly what they’re doing, and how to achieve results with a crowd. Their set builds slowly and steadily, an energetic instrumental one minute, a ballad with a soaring chorus the next, and a heavy rock cut after that. They covered all their bases, and though they dispatched one of their best songs “My Number” early on in their set (which drew a great dance party in the crowd), it was “Inhaler” that finally was the knockout punch. It was the perfect introduction to Foals if you’re not very familiar with their music, or had never seen them live before. The list of new converts at that show has to be pretty huge. This was the fifth or sixth time I’ve seen The National perform live, and with each new experience I’m treated to what feels like an improved version of the band I saw the previous time. At this point I think they’ve been around long enough and know each other well enough to truly click on stage, even in a festival setting that doesn’t work as well with their particular brand of nuance. Frontman Matt Berninger is certainly working the stage a lot more, breaking away from his perpetual stance behind a mic stand to hang out on the sides for a few minutes. Some tricks, like Berninger running into the crowd during “Mr. November,” are long-time band staples, but they’re highlights that continue to thrill, so why stop? The new material sounds great, and the crowd was very receptive through it all. Certainly one of the day’s highlights. After all the turmoil that hit the scheduling at The Grove stage on Saturday, what with Azealia Banks being forced to cancel due to vocal chord problems and Death Grips refusing to show up for whatever reason, the band Haim got either a really good or a really bad deal depending on how you look at it. The printed version of the schedule has them going on stage around 3:30 up against Matt & Kim, Court Yard Hounds and Local Natives. Not exactly bad bands to be up against. Their actual set time wound up being at 7:15, which was more prime time, but up against Kendrick Lamar and The Lumineers. So it wasn’t too surprising that the crowd for Haim wasn’t massive, though it was pretty decent sized overall. The three sisters played material off their EP and some new songs from their forthcoming debut album. Overall their set was a whole lot of fun, that includes the highly amusing sisterly stage banter. All of them also proved to be incredibly talented musicians, and a couple of small jam sessions they had included some face-melting guitar solos and wild bass work. I saw the band perform again at an aftershow a few hours later, and they were even better. I’ll have a report on that later. Be on the lookout, Haim is going to be huge. With the sea of people over at Mumford & Sons, it was nice to simply stroll up to a close spot for The Postal Service. As Ben Gibbard had said in a tweet earlier in the day, their Lollapalooza set and their subsequent Sunday night aftershow would be their final two shows ever, so in my logic, why would you miss that. It helps I love their one record Give Up to the point where I’ve got every lyric memorized. A lot of people do, apparently, because the entire set was like one massive sing-along. The only time the crowd stopped singing was when they played some of the b-sides and previously unreleased material that appeared on the deluxe 10th anniversary reissue of the album. Overall the arrangements were very similar to what they sounded like on record, though they were made a little more buoyant and full at times which was nice. There were extended versions of some hits, particularly “Such Great Heights” and the closer “Brand New Colony.” A cover of Beat Happening’s “Our Secret” was a nice additional treat. Jenny Lewis was in many ways a jack of all trades during the show, playing a number of different instruments in addition to her supporting vocals role. Gibbard was his typical self, upbeat and honest, and he seemed to really appreciate how much this band and their one record means to so many people. This might be the official end to The Postal Service, but I can’t express how happy it made me to finally see it performed live. I’ll take them over Mumford & Sons any day of the week. Welcome to the official Lollapalooza 2013 Preview Guide! 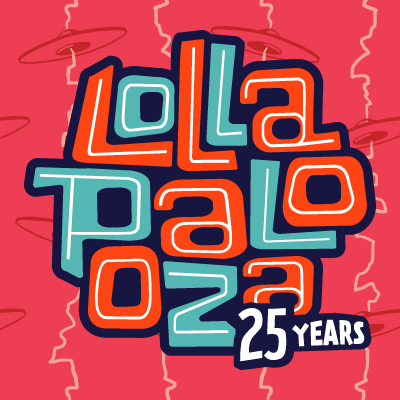 In this post, you’ll find an hour-by-hour breakdown of all the bands you won’t want to miss during each of the three days at Lollapalooza this year. Whether you’re an experienced Lolla attendee or a newbie showing up in Grant Park for the first time this year, there’s probably no chance you’re familiar with every single artist that’s part of the lineup. This guide is intended to help. Maybe you’d just like to familiarize yourself with the artists by listening to them. I understand that logic as well. Find something that suits your tastes, and then go see that artist, even if you’re not necessarily very familiar with their catalogue. Allow me to provide some assistance in that aspect. Here are Spotify playlists for Friday, Saturday and Sunday so you can let your ears make some decisions. All of those three playlists are organized by musical genre, to help everything flow just a little smoother in case you want to give the whole thing a listen. 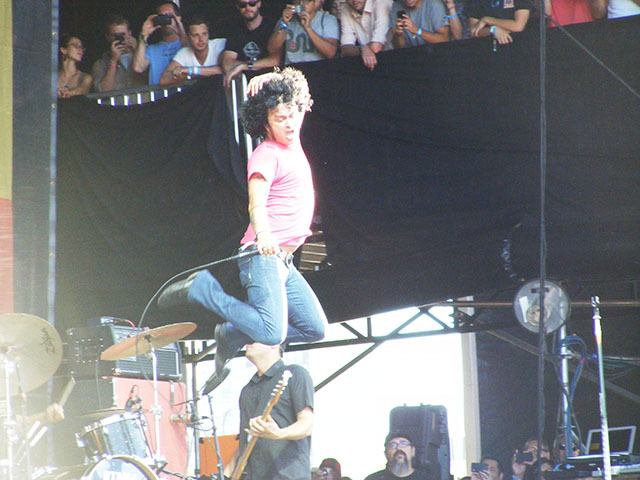 Moving past the sonics and into the nuts and bolts of the lineup, after the jump are my thoughts on what you should see each hour during each day of Lollapalooza 2013. Please note that I’ve restricted myself to one and only one artist during each hour of each day. There are some tough conflicts I’ve been forced to make decisions on, and in some cases you might want to do split sets and see half of one and half of another. Have a look at the full schedule here for all of those details, and keep in mind that things are so spread out it takes at least 10-15 minutes to walk from one side of Grant Park to the other. Plan accordingly. I do think that if you follow the game plan that I’ve set out for you below, you’re guaranteed to have a great time at Lollapalooza this year. Without further ado, here’s my preview guide to Lollapalooza 2013! The success of Phoenix is just a little bit perplexing. They’ve been plugging away and working hard as a band for close to 15 years now, but it wasn’t until their fourth album, 2009’s Wolfgang Amadeus Phoenix, that they finally saw any sort of measurable success. It’s equally strange that the popularity of that record and their introduction to the mainstream populous really offered nothing different or more attractive than their previous efforts. Indeed, this band has been writing incredibly addictive and danceable songs since at least 2000, it’s just not a lot of people bothered to pay attention for all those years. So what changed? Tastes, most likely. Phoenix have been ready and waiting this whole time, the general public was still trying to work up to their sound. Either that, or they had a piss poor team promoting their music until their last record. No matter how you look at it though, the band paid their dues. To those of us that have been listening to them for several years already it wasn’t so much a matter of if they’d ever be successful but when. Spurred solely on the singles of “1901” and “Lisztomania,” they rocketed to stardom, to the point of major music festival headliner status, which when you think about it is about the most confounding thing of thos entire crazy tale. Are two really great, really catchy songs all one needs these days to earn a place along side the likes of Pearl Jam or Green Day or Coldplay? Apparently so. As they cash in and prepare to headline virtually every major music festival in 2013, Phoenix are finally unleashing their Wolfgang follow-up, which is ironically titled Bankrupt!. The album sounds like they spent a whole lot of money on it to make it sound as shiny and grandiose as possible, which is what you might expect as they’re trying to metaphorically top themselves and extend their shelf life another few years. Yet Phoenix has always been a big, anthemic band with a super clean sound, so you’re not going to notice much of a difference except that they really try to maximize what they can do with that sound. First single and opening track “Entertainment” is a great example of that, aiming for a grand slam sort of synth pop song with a dash of Asian-sounding keyboards to lend the French band a little more international appeal. The song itself is about the band’s experience with fame and singer Thomas Mars’ largely passive feeling about being viewed as this big rock star. Despite it’s aims and very “1901”-like feel, something about the track feels just a little bit off. The fluctuation in tempo knocks it back on its heels a little, and there seems to be some slight hesitation in the band’s approach that prevents them from really, truly, genuinely going for broke (album title pun intended). It may be largely satisfying the masses thanks to the strong and forceful hand of promotion and radio airplay, but that awkward distance makes it feel like the least effective of their major singles so far. In fact, Bankrupt! as a whole is has less going for it in the way of singles than just about any of Phoenix’s previous records. It’d be nice to think that they weren’t concerned about such things, and maybe they aren’t, but on songs like “Drakkar Noir” and “The Real Thing” there’s a certain forcefulness built into their structure and hooks that feels more coldly calculated than genuine and organic. Despite this small issue on a couple of tracks, less effective single material leads to some interesting and perhaps better developments in terms of overall album cohesion. Whereas Wolfgang could often feel like a record built around its singles with not much else to inspire in between, the new album brings a consistency and pattern that flows far better despite being less memorable. The same can be said for the lyrics, which have continued to grow ever more obscure and random with each new record from the band. Mars often sings in what feels like half sentences, starting one thought but then finishing it with another that comes across as completely out of context. If you’re looking to connect with these songs on a deeper level, perhaps it’s best if you fill in your own blanks and interpret the lyrics in whatever fashion best suits your own life rather than trying to penetrate the impenetrable. The best moments on Bankrupt! come when Phoenix sound most relaxed and in their comfort zone. “SOS in Bel Air” is the brightest spot on the album, a jittery would-be single that’s well on par with some of the best things they’ve ever done. Sliding from that into the toe-tapping “Trying to Be Cool” makes for the strongest pairing of tracks as well, right before the colossal mistake that is the seven minute title track shows up to add dead weight in the middle of the record just as it started to hit its stride. Still, “Don’t” and the upbeat closer “Oblique City” are great second half highlights that serve to add balance to the album and keep the listener properly engaged. For the legions of new fans that discovered this band via their last album in 2009, there’s enough going on with Bankrupt! to keep you happy. Like Mumford & Sons, who are arguably the biggest thing in music today, the formula hasn’t really changed and they certainly don’t stumble much in the face of what might be seen as overwhelming pressure to maintain their status among that same upper echelon. What’s truly lacking on this record is a sense of drive and experimentation. Then again, Phoenix have never been the sort of band to rock the boat much with each new album. You’d hope that success would afford them greater freedom and more leeway in their sound, but perhaps where they’re truly bankrupt is in the new ideas department. Oh well, after 15 years of hard work and paying their dues, they’re more than entitled to a victory lap.